The first graph shows bank failures by week in 2008, 2009 and 2010. The FDIC is off to a fast start in 2010. My prediction is the FDIC will close more banks in 2010 than in 2009 (more than 140), but fewer banks than in 1989 - peak of the S&L crisis (534 banks). 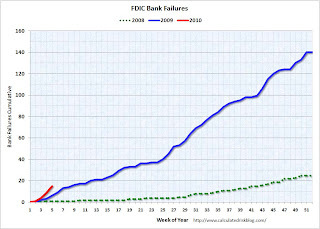 The second graph shows bank failures by year since the FDIC was started. 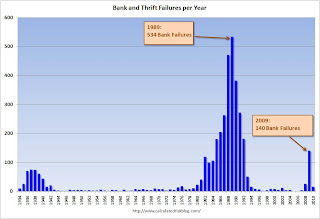 The 140 bank failures last year was the highest total since 1992 (181 bank failures). 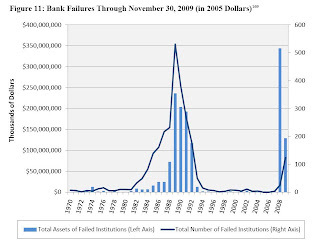 And since people always ask, the third graph is of bank failures by number of institutions and assets, from the December Congressional Oversight Panel’s Troubled Asset Relief Program report. 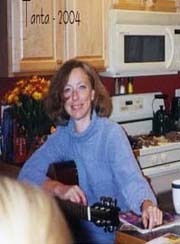 Note: This is through Nov 30th for 2009. Note: This is in 2005 dollars and this includes the failure of WaMu in 2008 with $307 billion in assets that didn't impact the DIF. I'll update the losses for the Deposit Insurance Fund (DIF) over the next few weeks.